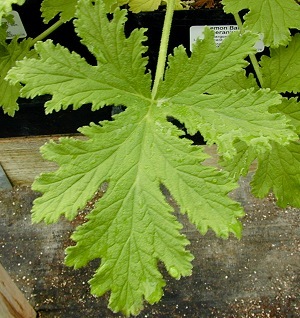 The large palm size leaves of Lemon Balm Scented Geranium have a heavenly lemon scent. Cut some sprigs to add a clean fragrance to spring and summer bouquets. A very large, sturdy, upright plant adds visual interest to any garden with its richly fragrant, bright green, leaves.